This is a very busy week, starting with the Solstice on Monday and ending with Mercury turning retrograde by Saturday. And I’m moving, from Georgia in the southern United State to Rhode Island in the northeast. Since I won’t be writing this week, you may enjoy exploring this site and visiting some of the earlier entries you may have missed. My next new piece will be the Astro4Business Week post for December 28. Have a wonderful week! Monday is a mystical day with the Solstice and two aspects to Neptune. If you missed the post on the Solstice, read about it with this link. The first Neptune aspect, Venus sextile Neptune, mixes the planet of creativity, finances, and relationship with concern, kindness, and consideration. Then Jupiter joins the fun and brings heightened intuition and rose-tinted confidence. These three planets together concoct a wonderful, compassionate, and lucrative atmosphere that brightens and heightens all of our activities today. The eve of the Christian celebration of Christmas is catalyzed by a conjunction between the Sun and Pluto. You demonstrate magnetism, determination, and skilled decision-making . You are confident in your ability to align your business with these transforming times. On Christmas Day, Venus enters the sign Capricorn. Under this influence we are happy to handle our money frugally, our creativity practicably, and our professional relationships with commitment and reliability. The Sun also squares Saturn on this day. There may be serious interactions that challenge your authority, even amidst the festivities. Remember, you don’t have to prove yourself; hold steady to your inner wisdom. Mercury comes to a standstill on Saturday and then reverses direction until January 15. Mercury retrograde is a time to revisit all matters we’ve glossed over or managed to forget during the preceding 88 days. It is an opportunity to backtrack and reconsider, repair, and reflect. It is a time to slow down and fix whatever is broken, whether unresolved issues, personal misunderstandings, unfair negotiations, or glitches with phones, computers, or transportation. It’s not a good time to make important decisions unless you’re just confirming a decision that was already in motion before the period, because there is a tendency for misinformation and poor communication during this time. It’s not a good time for travel, unless you enjoy long uninterrupted working time in airports. It’s unwise to sign contracts, but if you must, pay attention to the small print! Be extremely vigilant in your communications, and review twice before you hit send! 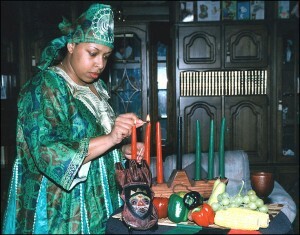 Saturday also begins Kwanzaa, the African American celebration of family, community, and culture. 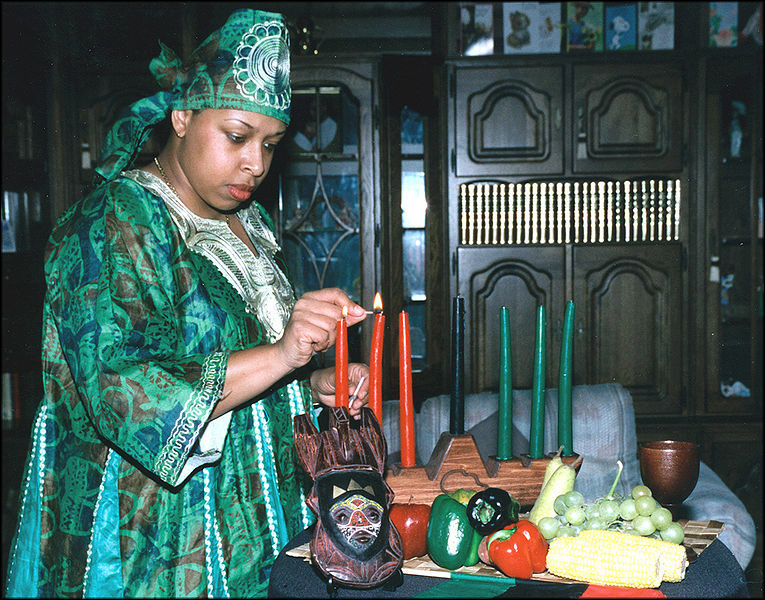 Founded in 1966 by Dr. Maulana Karenga, Kwanzaa is observed by more than eighteen million people around the world. This entry was posted on Sunday, December 20th, 2009 and is filed under Astro4Business Week. You can follow any responses to this entry through RSS 2.0. You can leave a response, or trackback from your own site. Hope you and your family have a wonderful holiday. Good luck with the move.